Schools often ask us what commissions individual retailers pay to School Angel. This is clearly important information in helping them compare what we can offer versus other fundraising options they may already be using or considering. Because School Angel is a very efficient charity and not a business, we are able to operate on the minimum possible funding. We have no paid staff so unlike all of the other fundraising websites currently operating in the UK we return all of the donation we receive. On average all other fundraising websites in the UK retain at least 50%. In addition to this, some retailers who recognise the value of the work the charity does pay us an enhanced commission rate which greatly boosts the donation we are able to deliver to our schools. The donation we receive is paid 100% to the school with no deduction. On this page we will explain how Amazon commissions are paid and also some of the other large retailers. Unfortunately it is genuinely difficult to give a brief answer simply because most retailers use a tiered structure for commissions and often have exceptions for certain goods. 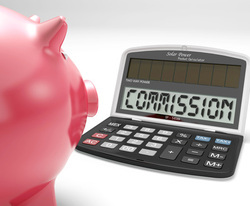 As a general rule of thumb commissions are paid on the shopping basket total, minus VAT and delivery charges. To measure our performance against other fundraising alternatives in the UK we use three major retailers, namely Amazon, John Lewis and Marks & Spencer. These are selected because Amazon is the largest retailer by sales volume in the UK with between 25 - 45% of all sales generated from online fundraisers coming via Amazon. John Lewis and Marks & Spencer are regarded by economists as the 'bellwether' of the British high-street with both generating large online sales volumes. We don't include gift aid since this is dependant upon several external factors such as the donor being a UK taxpayer, agreeing to share data with HMRC and opting into the system. Amazon is far and away the biggest online retailer in the UK, and for any school will be one of the most important for generating funds. ​Over 40% of all the funds we raise at School Angel come via Amazon and we average a rate of 4.5%. For certain Amazon brand products they will also pay enhanced commissions, but 99% of all transactions will likely fall into the above structure. John Lewis ​vary commissions based on type of goods. M&S simply pay School Angel 5% on everything. Asda Direct now operate through George.com and feature on School Angel. They pay commission rates of between 2 - 3 %. (note nothing is paid for grocery orders). Waitrose pay £5 for a new customers shop and then 75p for existing customers shopping. The Apple Store has very strict terms & conditions and Apple has asked that the charity makes these clear to anyone considering using the Apple store. We have listed these below. Donation rates from the Apple store tend to be small (typically 1-2%). Donations will not track if you are using university/company login to purchase via the Apple Store. Simply click "Institution not listed? Shop Now"
Commissions in this sector vary widely. These are the percentages paid on the room booking cost, we do not receive commissions on extras like food and drink. We always work really hard to try and achieve the maximum amount of donation from retailers and some big names are far more generous than others. If you are interested in how large amounts can be raised in a single transactions then you need to look at holidays, mobile phones and TV/broadband packages. School Angel covers all of these sectors and donations range from about £20 to £70 for a single transaction. We feature the best Which? recommended suppliers for these sectors. The gas and electricity market in the UK is dominated by comparison websites, however the validity of these sites has been recently called into question by the regulators having found evidence they are only promoting suppliers who pay them, and therefore not necessarily offering the consumer the best deals. With this in mind we have decided to only offer a single service which is an automated switching service. You will have the option of various different levels of service: a free service which mirrors that provided by comparison sites or a subscription service which consistently checks that you are on the cheapest tariff in the entire market, and automatically switches you if you are not. It is claimed that the service saves you at least £100 more than comparison sites and is free until you can save at least £50. Switchd donate between £15 - £30 depending on the level of service you subscribe too.